The Osmio EZFIT Undersink Water Filter Kit with Tap is the perfect water filter system for those looking to improve the taste of water by removing chlorine as well as many common impurities such as sediment, dirt, turbidity, rust, sand and silt. The system uses the NSF certified Carbon Block filter made from coconut shells with 12,000 iodine, making them amongst the best specification carbon filter on the market. 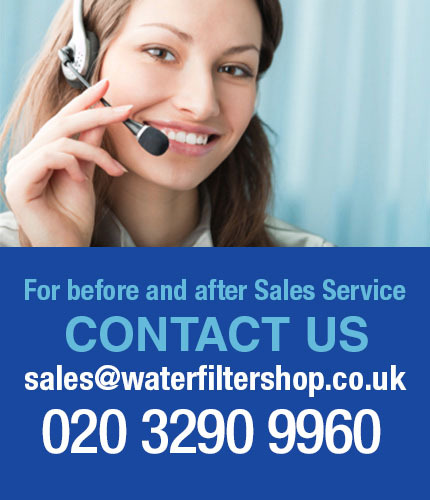 The filter primarily removes bad taste and odour caused by chlorine (a chemical used to treat and disinfect the water) and the filter also reduces lots of other industrial solvents, disinfection byproducts and chemicals, as well as pesticides. The kit includes everything you need to get the system up and running and is easy to install. The 2.5" x 10" Carbon Block 5 Micron Filter Dual Pack filters use coconut carbon filtration technology to maximize the carbon capacity and prevent channelling whilst maintaining a low pressure drop leading to more efficient water filtration. 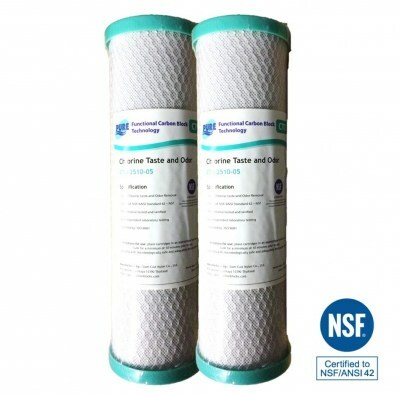 The NSF approved 5 Micron Carbon Block filters (also certified by ISO) use coconut carbon filtration technology to maximize the carbon capacity and prevent channelling whilst maintaining a low pressure drop leading to more efficient water filtration.